The name of this feature may lead you to believe that it’s somewhat trivial – until you see what Recall Shooting actually does! For me, this looks like a potential game-changer, and I’d bet my 600mm that we’ll see Recall Shooting coming to other Nikon bodies down the road (and – fingers crossed – I hope they will add it to the D500 and D850 via firmware). Added Recall shooting functions to the functions that can be assigned to camera controls. 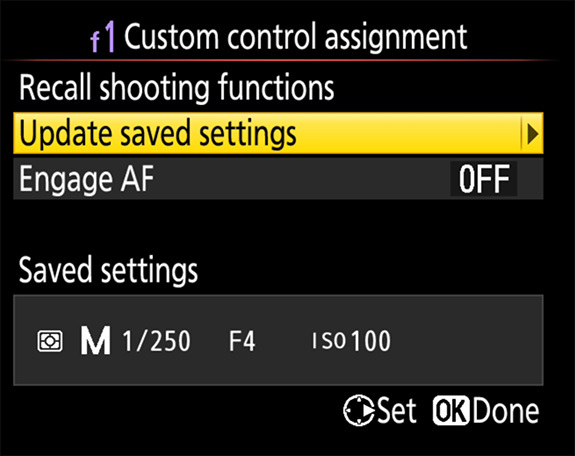 Holding the selected control recalls previously-saved exposure settings (including shutter speed and aperture), a feature that can for example be used to switch rapidly between scenes that require different exposures. 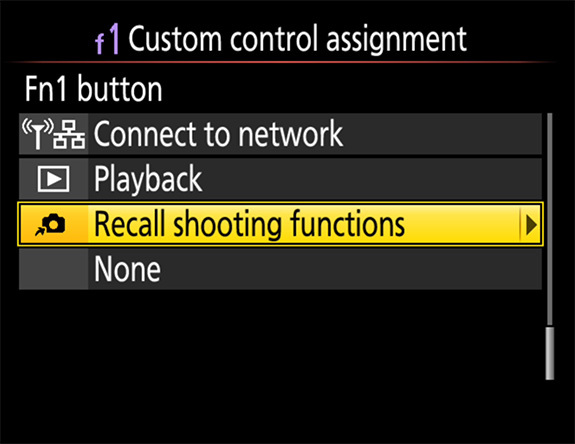 Recall shooting functions can be assigned to the following controls using Custom Setting f1 (Custom control assignment): Preview button, Fn1 button, Fn2 button, AF-ON button, Sub-selector center, AF-ON button for vertical shooting, and Lens focus function buttons. 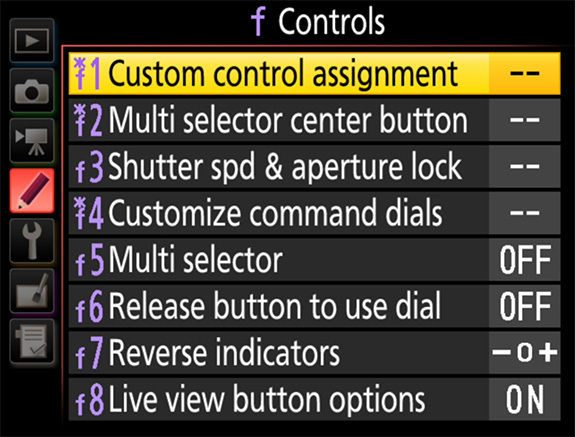 It can also be assigned to the Fn button on a WR-1 or WR-T10 remote control using the Assign remote (WR) Fn button option in the SETUP MENU. The instruction manual supplement is only marginally better, so I’ll take a stab at explaining it here. Recall shooting allows you to assign a programmable button so when you press it, a previously saved exposure setup is engaged. You can assign Recall Shooting to the Pv, Fn1, Fn2, AF-On (standard or grip), Sub-Selector (joystick) or lens function buttons (big glass only). Out of context, this seems a bit like a yawn fest, but hang tight – this really does have some tremendous potential. I can’t tell you the number of times I’m out shooting action and an incredible opportunity for a stationary subject arises. The problem is, in that situation, I don’t need a crazy-high, action-oriented shutter speed – and the correspondingly high ISO that goes with it. So, I’ll drop my shutter speed for a moment and work on getting the static shot. Of course, while I’m waiting for the animal to strike the kind of pose that would make a supermodel throw a jealous tantrum, action erupts next to me. In this scenario, I generally have all of two seconds to swing around, change my shutter speed, and shoot. Although I use M + Auto ISO (read about it here) and can adjust shutter speeds rapidly, I sometimes forget or simply am not fast enough to get everything set before I miss the shot. The photo is a perfect example. I was shooting flight shots when this tiny girl decided to perch and pose. Of course, as I was shooting her, another flew in and I missed the flight shot. And Recall Shooting can do all that – and more! So, we’ll say I’m shooting some fast bird action at 1/3200th of a second at F/5.6, and I’m using M + Auto ISO. In this setup, the camera picks the ISO, but I’m picking the shutter speed and F/Stop. We’ll also say I have Recall Shooting set with M + Auto ISO, but this time I have it set to 1/250th of a second at F/4 for portrait work (F/4 because I love soft backgrounds for bird portraits). Since the lower shutter speed requires far less ISO, I get cleaner shots. That’s the setup, now let’s see it in action! So, there I am popping off flight shots at 1/3200th of a second at F/5.6 and see an opportunity for a beautiful portrait. Instead of spinning the dial and dropping my shutter speed manually, I now just press my assigned button and my settings of 1/250th at F/4 are engaged with an appropriate ISO – all instantly. Once I get my shot, I release the button I assigned to Recall Shooting and I’m immediately back to my original settings of 1/3200th at F/5.6 with a proper ISO selected by the camera! (remember I’m using M + Auto ISO in these examples). Another great idea I saw for this feature comes from an internet forum I frequent. The poster mentioned that this is a boon for anyone who likes slow shutter speed panning shots. You can set your camera to stop action at a higher shutter speed and use this feature to temporarily switch to a slower shutter speed that’s more appropriate for panning – all with the press of a button. Great idea! Recall Shooting is a lot like how you can change the AF area mode with a button press on the D5, D500, and D850, but this time for exposure. However, it’s even more sophisticated than what you can garner from that example. The thing is, the system will remember your full set of exposure settings – including your exposure mode! For example, let’s say you are shooting in manual mode and setting ISO manually as well (basically full manual mode). Now, let’s say you have Recall Shooting set to Aperture Priority and Auto ISO. When you press the assigned button, the camera will not only jump into Aperture Priority mode, it will also switch Auto ISO back on! Release the button and everything goes back to the way you were previously shooting (full manual in this example). Oh, but that’s not all! Recall Shooting not only switches between exposure modes, but it also can remember exposure compensation values as well! The first field application that comes to mind for this option is if you’re shooting action and need exposure compensation in one area of the scene but not another. For example, maybe you have some pronghorn running around in a meadow, but sometimes they get in front of a small grove of dark-toned pine trees. The darker tones trick the meter into overexposing. Of course, the sun is peeking in and out of the clouds, so just setting a manual exposure isn’t ideal either. Of course, M + Auto ISO mode works great when the light levels are shifting, but it still gets fooled by the dark-toned trees. Now, you can fix this problem by subtracting out one stop of light, but as soon as the pronghorn races back out into the meadow the meter is back to correctly metering the (middle-toned) scene and you need to take out the compensation. Usually, chasing exposure compensation like this is a mess – but not with Recall Shooting available! So, in this case, you can set your camera to M + Auto ISO, your shutter speed to something like 1/2000th, and the F/stop wide open at F/4. For the recall setting, you use the same values, but ALSO dial in -1 stop of exposure compensation. Now when the pronghorn slips into the area with the dark-toned trees behind it, you simply press the Recall Shooting button and the camera instantly engages exposure compensation. Once he runs back out to the meadow, release it, and you’re back to zero exposure compensation. You head home with perfect exposures all the way around. Of course if you’re an all-manual mode shooter, you can use this in the same scenario with different settings for the darker and middle-toned areas (although the varying sunlight will still make you chase the exposure a bit). But that’s still not all! Not only will it remember everything above, but it also can recall your metering mode too! So maybe in your normal shooting mode, you use Matrix metering, but you want to set Recall Shooting to flip to spot metering – done! The possibilities are really endless, and I can probably regurgitate examples for another ten pages. However, I think you get the idea. You can store any exposure setup you like and jump back to it with the press of a button. The system remembers the exposure mode, exposure compensation, metering pattern, ISO, and if Auto ISO was engaged or not. Note that it will only store the settings that are user-adjustable in any given mode – although it will still display everything as it was when you saved it on the “stored data” page. (we’ll talk about that soon). For example, if you’re in Aperture Priority, it will store the F/stop – and although the shutter speed will show as saved, it will still float the shutter speed once you press the button. In Shutter Priority, it keeps the shutter speed but will float the F/stop. In M + Auto ISO, it will store the F/stop and shutter speed, and although it will show an ISO, it will float ISO when you engage the Recall Shooting button. Oh, and another thing – it can engage AF too! This means that you can press the button assigned to Recall Shooting and the camera will change to the exposure mode/settings you have previously stored AND activate AF at the same time! (Note that it will use the same AF area and AF mode you are currently using for regular shooting.) Personally, I probably won’t use this option, but it may be something you might want to try (I do better when my AF activation is always in the same place). OK, so that’s all well and good, but what if you’re shooting action with Group or Dynamic AF but want another AF area mode when you go into Recall Shooting mode? Maybe something like single point AF for example if you’re using it for portrait work? Well, you can sort of make that happen! As you probably know, you can assign an AF area to one of the programmable buttons. Many of us have programmed our Pv buttons so a press will change the AF area mode from whatever we’re using back to something like single point AF. Well, that still works with this method. You just have to press both buttons at once. For example, with my D5 I have the Pv button set for single point AF area and the Fn1 button set to the new Recall Shooting function. So, if I’m in Group AF for regular shooting and need the alternative exposure mode, I press the Fn1 button (my assigned Recall Shooting button), and while it dutifully changes exposure modes, I’m still stuck with Group AF. Since I probably don’t want Group AF for my wildlife portrait work, I can then additionally press my Pv button, and now I have single point AF with the alternative exposure mode option engaged. So, both buttons will work together. How the heck do you set this up? It’s actually pretty easy! 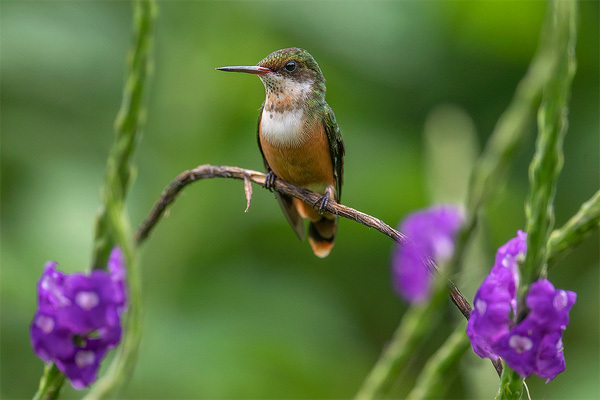 First, set your camera’s exposure mode, metering mode, ISO (or Auto ISO), and exposure compensation the way you want the system to remember it. I want to use this as I first described above – as a quick way to drop into “portrait” speeds and F/stops using M + Auto ISO. For me, this means setting my camera to 1/250th at F/4 with Auto ISO with Matrix metering – usually with no exposure compensation. Once you have your exposure settings decided, head to the Custom Settings Menu, F1, and give that a click. Pick the button you want to assign to Recall Shooting (I’m using F1) and press it. Note that you want the option on the left side column if your assigned button also has spinny-dial options. Scroll down to Recall Shooting Functions and push that. Now with your exposure settings set the way you want use the right side of the multi-function button to click Update Saved Settings. On the next screen, you’ll see something like the next screen shot with your settings displayed at the top. Press Yes and you’re all set. You can also choose to engage AF while in this area too if you like. When you’re all set, exit out of the menu. Now put it to the test. Change your settings, exposure mode, etc., and then press the assigned button – it’ll jump back to your saved settings! One caveat I noted right away though – with the Recall Shooting button engaged, you can’t actively change the exposure settings. So, once you lock them in, they are there until you reset them through the menu. As mentioned, this is only a D5 option at the moment, but I certainly hope Nikon sees fit to add it to their other bodies as well. I think this will prove amazingly useful in the field, especially for action shooters. I can tell you that although my D850 has been my primary wildlife camera lately, this will switch me back to the D5 on a more regular basis. This entry was posted in Nikon Gear, Techniques, Using Your Gear. It is definitely an adorable fact that there has very recently launched an advanced technology based full features loaded camera powered by Canon. It has really true capability to provide all the necessary features that is truly satisfactory for users’ convenience purposes only. They must utilize all these features in their r ways of using. Steve, will you let us know if Nikon releases this for the D500? I trust your communication far more than I do Nikon”s! I was so fired up to hear about this – but it doesn’t seem to work with double exposures… True? Or is there something I can do differently? After trying different settings when bracketing is set the recall function does not work! Thanks for the explanation. Current recall setting for f1 M;2500;f8; ISO-Auto. Changed the camera settings to P. Pressed the f1 key. This did not work! Any help? Great points and thanks for the detailed overview. I used my D5 at a wedding recently which had varying light in the same area, so this feature could’ve produced more keepers and saved me a lot of frustration. 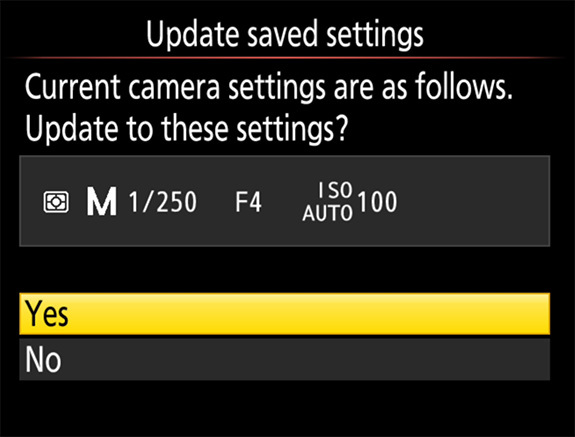 Any idea of how or when Nikon will let us 810 and D4 users know when the upgrade to this recall feature will be available and how to install? No clue at all. The thing is, I seriously doubt we’ll see it for anything other than the D850 and maybe D500 (and new models going forward). To my knowledge, Nikon has never added features to cameras that are a model down from the current bodies. 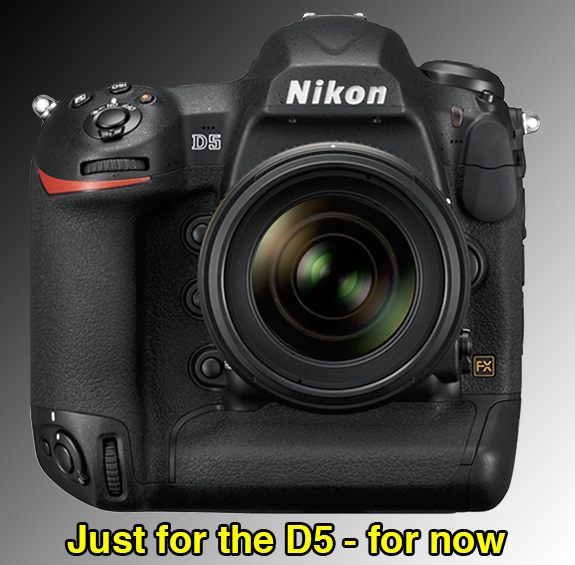 (Don’t shoot the messenger – I don’t agree with their stance on this) In fact, Nikon may just keep this to the D5 – they’ve done it before with new features (although, I hope not). LOL – been there done that!! I can’t tell you the number of times I’ve had a camera set for landscapes and a wildlife top appeared. Same thing too – I fumble around with the camera trying to get the shot – although I usually miss it in the end. Great article – thank you. Just struggling with the Engage AF option: for bird photography I would like to switch from full manual with AF Off to Aperture priority with AF-On. If I recall settings with the camera set to manual focus it does not engage AF. I hope I’m doing something wrong because this feature is great. Sadly, it doesn’t work that way. The camera’s manual focus settings are all “hard” switches – lens and body. So, no way to do it. is it just me or does this not sound like U1 and U2 on the D7XXX series. Thanks a lot and – great article Steve! Pls. keep us in the loop when becoming available for other models. I hope my D500 can get this, but I’m a little concerned with getting all the buttons pushed the way I want, with using BBAF, another button for AF area, another for AF mode, now another for recall. What’s left for the shutter? LOL, yeah, we’re starting to run out of fingers! Thank you for the article! Do you know if this will also save flash settings as a way to quickly disengage the flash? Nope – but you can assign a button to disable flash if you like – under Controls. Is this like the U1 and U2 settings my D7100 had? 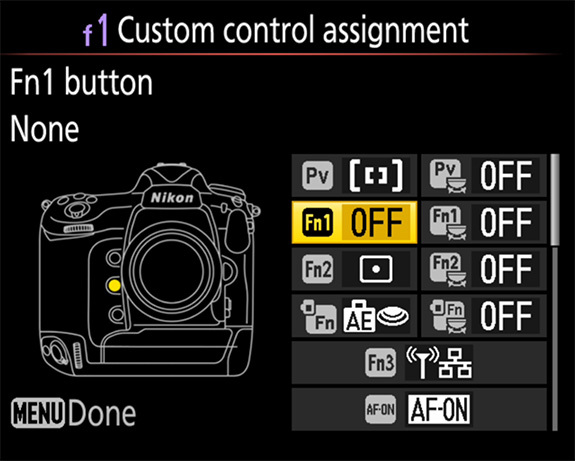 And Nikon needs to go a step further, to wit: first press of your selected function button. Gets you recall settings 1, 2nd gets you recall settings 2, etc. Function button (you choose) gets you back to the setup you started auth.! A way to add UP, U2, etc to bodies that don’t have it. Need this on my 850! Can’t wait for this feature to make its way to my D40 via a firmware update! So excited for this to hopefully come out on the d850, this would almost prevent me from carrying around two bodies. I am from France but I always follow your explainations and they are always very clear. Thank you for this.but just one thing which is not really in our subject : I hope the DSLR will not desapear with the coming of the mirrorless on the market. I like to much my D5.and all the possibilities going with it.thank you for all. F.petit. about time too, well explained Steve, my D500 and D850 ready and waiting but how long??? c’mon Nikon roll out the barrel…. Thanks much Steve. Hoping they bring it to the D500 and D850. Really appreciate your tips. Thanks for the great explanation of how this works! The press release from Nikon just didn’t do it. I agree. It’s a step in the right direction, but both Canon and Sony have this better implemented. 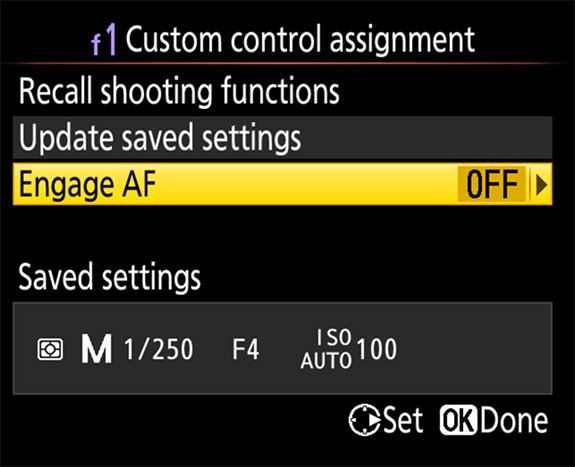 With your D850 there is a setting to change AF based on orientation. I have mine set for single point AF when camera is vertical and to go to AF Continuous when camera is horizontal. Sounds VERY much like the U1/U2 modes of the D7100 and D7200 which I’ve sorely missed since getting the D500. The “Banks” system in the D500 seems completely useless to me so I’m optimistic this new feature will indeed come in the form of a firmware update…please!! Great post, Steve! The Recall function is a terrific addition. The scenario I’ve struggled with in the past is photographing small birds in the mixed lighting of the woods. The exposures will range from full sun to full shade – and every combination in between. Backgrounds also vary so the workaround has been using Auto ISO and exposure compensation. Now there is another option – to switch modes and use a preset. This makes it much easier to optimize shutter speed, ISO, and other settings. Nice feature. I sure hope they add it to the D850. Now, why can’t they add U1 and U2 functions, like on the D750? Very nice ! Thanks for the wonderful summary here Steve. This really sounds great, hope they will also bring it to the D850. Sign up NOW for our FREE e-mail newsletter. Keep up to date with everything that happens on the site - from trip stories and how-to videos, to photo tips, articles, new books, and more! FAQ – Books / Prints / Etc.